St Nicholas’ Primary School is a co-educational, multidenominational, child-centred school with a long tradition of serving the youth of Galway. It is located in the heart of Galway City in Waterside, Woodquay. It is situated beside the Town Hall Theatre and is within close walking distance of the university (NUIG) and the hospital (UHG). Our Primary school aims to provide an opportunity for each child to reach his/her potential in a co-educational setting and friendly atmosphere, Our Primary school aims to develop in each child the capacity to think clearly, creatively and critically and is a place where moral values and civic responsibility are nurtured and protected. 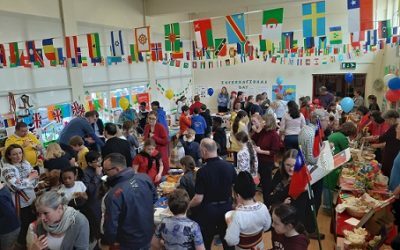 The Irish Primary Curriculum is delivered in an integrated manner, respective and appreciative of different religious affiliations and of different nationalities of the world. Facilities are available for children who wish to make their First Holy Communion and Confirmation. 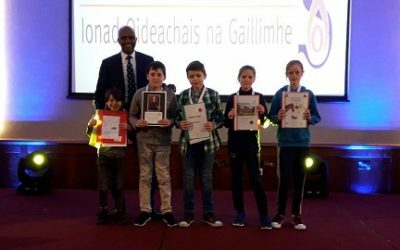 Due to the central location of our Galway City Primary School (beside the Town Hall Theatre), our pupils have the opportunity to attend many different educational events within the city. The children regularly visit the Town Hall Theatre, Dubray Book Shop, The Black Box Theatre, The Galway City Museum, The City Library, Woodquay Park, The Plots (football pitch), The University, The Hospital and many other locations of interest. 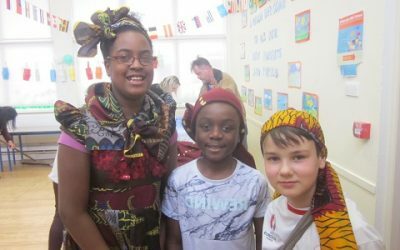 Our school also offers a wide range of extra-curricular activities such as Swimming, Hockey, Drama, Chinese, French, Zumba, Ladybirds, Brownies, Music and Yoga. St. Nicholas’ have an After School Facility in the school which facilitates homework and provides a range of activities. The majority of the sixth class pupils transfer to local secondary schools in the Galway area. St. Nicholas’ Parochial School is a great school because of the friendly environment, qualified staff that are so helpful and understanding. St. Nicholas’ School has plenty of extra activities that the children can choose from. St. Nicholas’ is a very special school because it is petit in size but huge in ideas. The children are spoiled with different afterschool activities like Chinese, Brownies, hockey, and the most loved by my daughter...swimming! The teachers are dedicated and caring. I recommend this school to all of my friends. St. Nicholas’ is a wonderful school because it is more than a school, it is a community. it is not only a place that encourages parental involvement but also equips parents to participate in their child’s educational experience. My child is more than a number but rather a valued member of St. Nicholas’ Parochial community.